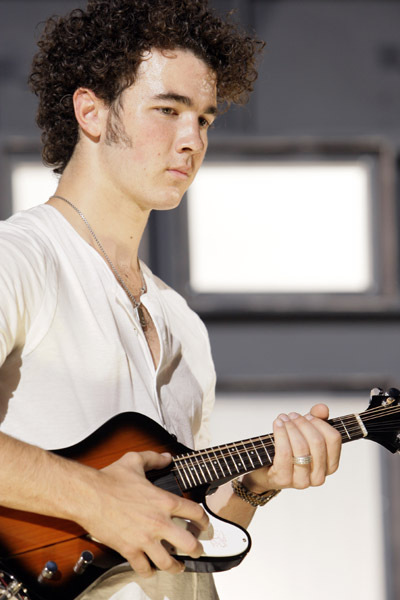 The eldest of the infernally popular Jonas Brothers, Kevin has fame, fortune, and thousands of screaming female fans. What he doesn't have, evidently, is a guitar tech who's intelligent enough to know that you shouldn't put bronze strings on an electric instrument. Kevin has, of late, been spotted playing this Epiphone MandoBird in concert. Of course, if he continues to be spotted, I know a good skin cream he could use.